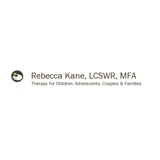 Rebecca Kane (New York) - Book Appointment Online! 441 W End Ave., 1G / Corner of 81st St. I have been seeing Rebecca for some time now and she has really helped in identifiing myself and my goals. She is very observant and has a wonderful personality. A perfect fit for me.